Buy Strobing makeup online at Boozyshop, the makeup webshop that makes online cosmetics shopping fun! A radiant highlighter is absolutely indispensable for every make-up look but do you want to go one step further? Strobing it is! Give your face a beautiful look with a natural effect and a fresh look. Sounds attractive right? To straw you can use different types of products and apply them to different areas on your face. Get your glow on! Which highlighter from Boozyshop's assortment are you going to shop for strobing? 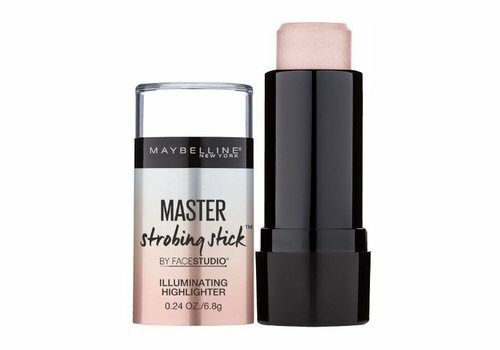 For strobing, strobe highlighters are of course perfect, but that is not the only highlighter that is suitable for this wonderful technique. In Boozyshop's range, you will also find liquid highlighters and powder highlighters. A liquid highlighter is ideal for strobing because they often give an intense glow when applied to your skin. Do you have a powder highlighter at home? If it is highly pigmented, can you also work with that highlighter? Would you like to use a liquid and powder highlighter together? If you apply the liquid highlighter first, these are a perfect duo for the strobing technique! Tip; if your powder highlighter is not mega high pigmented, you can best apply it together with a liquid highlighter to still achieve the desired strobing result. With strobing you create a natural make-up look and accentuate the best parts of your face. And those are the parts where the rays of the sun or the romantic candlelight stand out. Yes indeed, exactly the areas where you actually make your highlighter! The usual, but with even more glam than usual. Strobing is not really difficult at all and you do it in no time. Do not you know where you put a highlighter? Ask the experts in Boozyshop her chat! Time to shop at Boozyshop! Now that you know exactly which highlighter you need for the strobing technique and know exactly how to do it, it's time to shop! Are you looking for a beautiful highlighter for an interesting price and the best quality? Then you are exactly right at Boozyshop! Find your new favorite between a large number of options. Is your order more expensive than 30 euros? Then you will receive a gift.